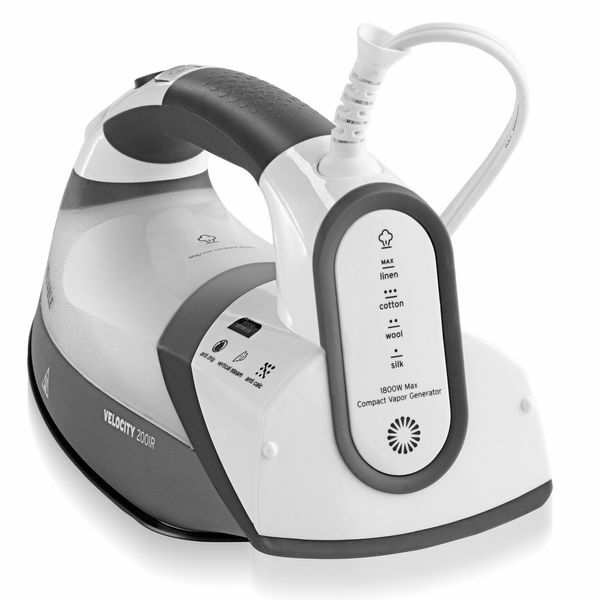 The all new Velocity 200IR compact vapor generator iron is the ultimate expression of our iron know how. 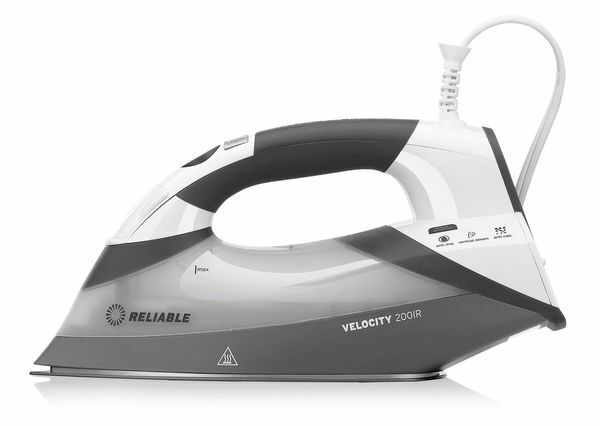 The Velocity 200IR thinks (and more importantly acts) like a pro iron. 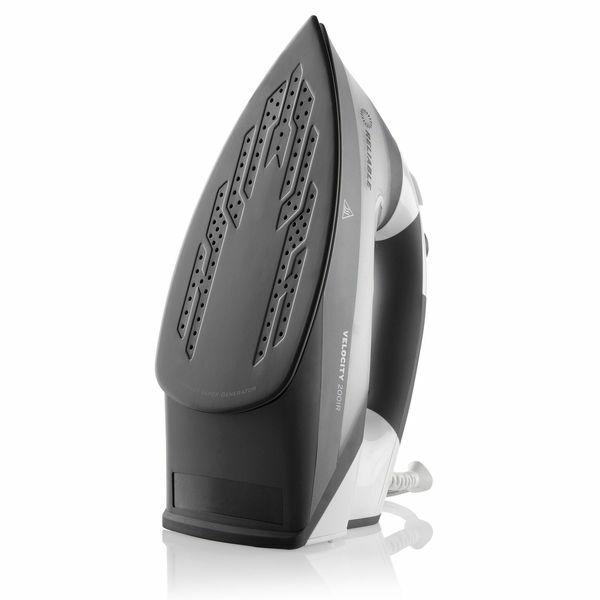 Water is heated internally so it turns into steam before it even reaches the sole plate (like our pro models). 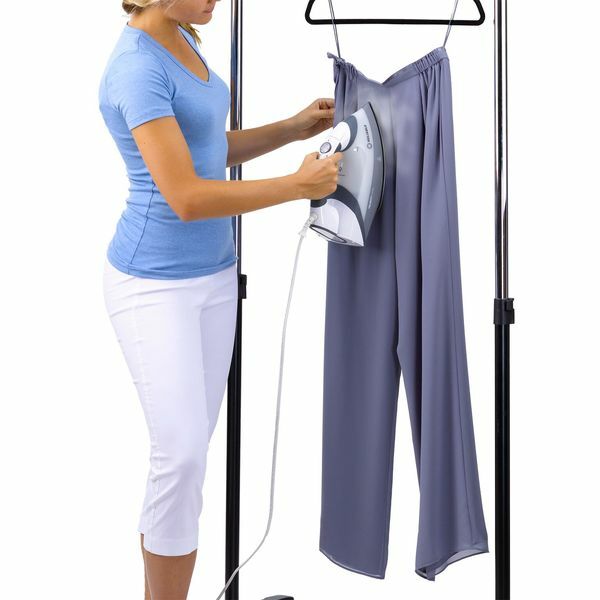 The end result is a steam iron that doesn’t leak and doesn’t spit water and delivers continuous steam that will astonish you. 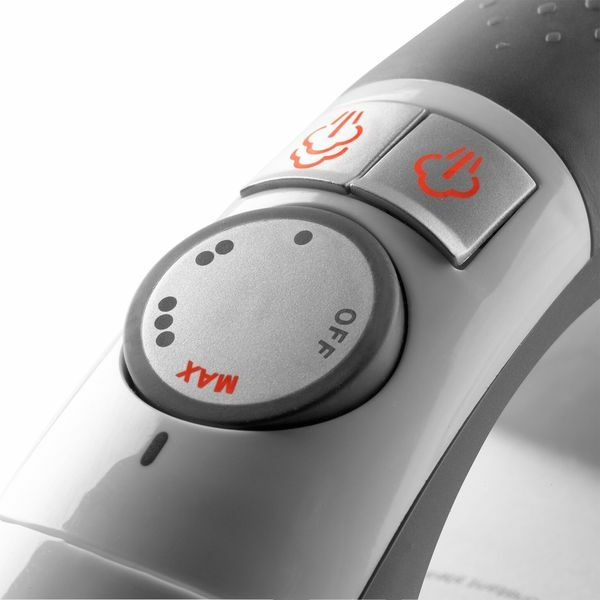 Our advanced auto shut off bypass feature allows the user to bypass the built-in 8 minute auto shut off and use the iron continuously. This is a great feature for our sewing & quilting project friends. 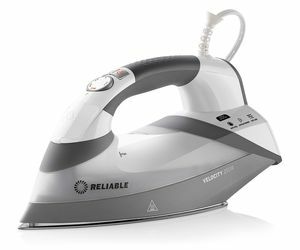 By simply placing your hand on the handle (and having the steam button in the on position) the Velocity 200IR springs to life with the most wonderful, voluminous steam you have ever seen in a steam iron. Like the finest cookware, the Velocity 200IR features a next generation anodized aluminum soleplate which enhances gliding on all types of fabric. 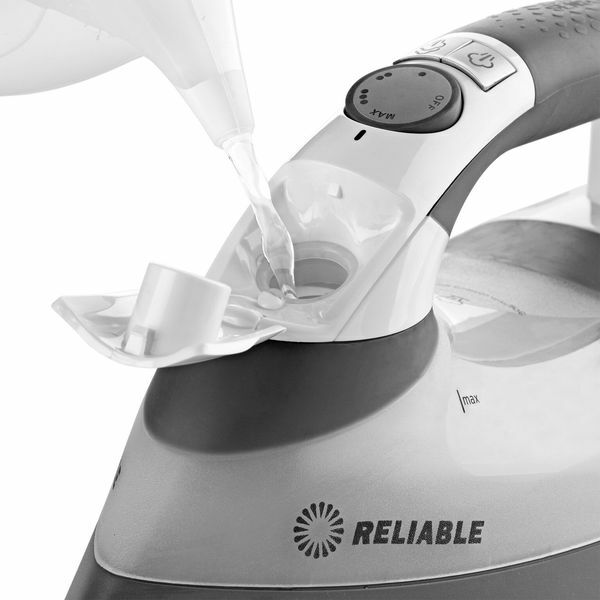 Making a the most technologically advanced iron in the world doesn’t mean it needs to be complicated. 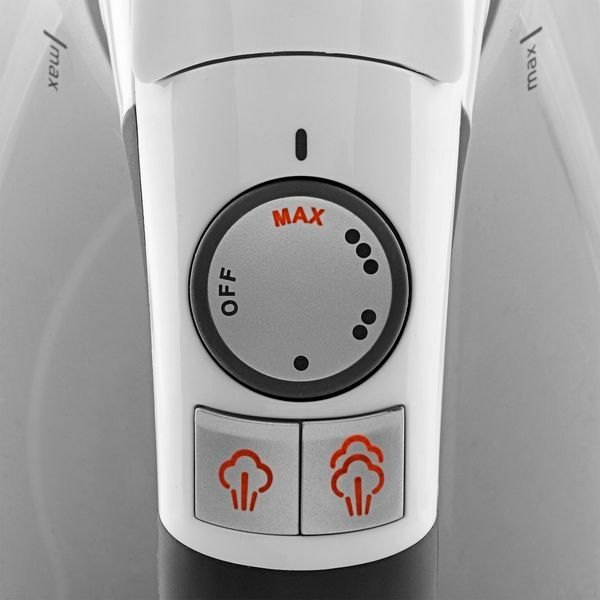 An illuminated dial displays the selected temperature and two buttons control the power and steam volume functions. Our cord swivels 360º allowing better maneuverability and reducing those frustrating “dances” trying to get the cord to unravel. Refilling the 200IR is quick and easy. With a large, wide-angle opening, the Velocity prevents any unnecessary spilling. Product dimensions: 13" x 5" x 6.5"
Shipping dimensions: 14" x 5.75" x 7.75"
Three words...Worth -Every -Penny! I really hesitated before I pulled the trigger due to the price, but I'm so happy I did! I've had nice Rowenta irons and I bought the Panasonic cordless as I'm a quilter and sewist but neither one was exactly right. 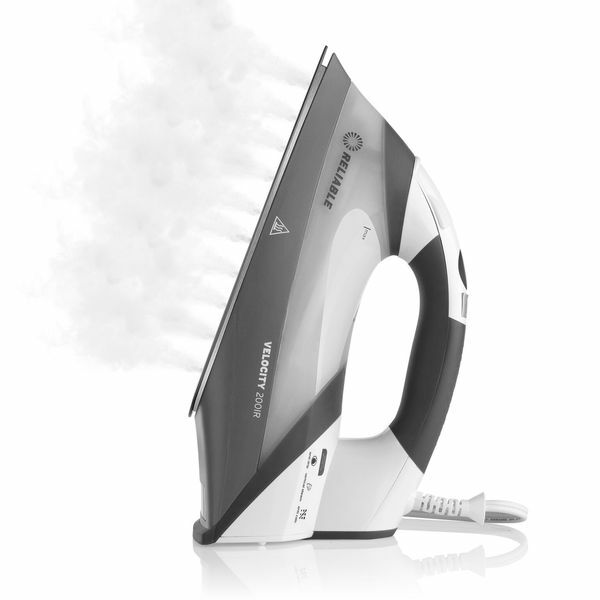 The Panasonic doesn't get hot enough and the Rowenta steam feature just didn't cut it. It ran out way to quickly and was constantly losing peak temperature while ironing. I'm saving it for my last child when he leaves home! 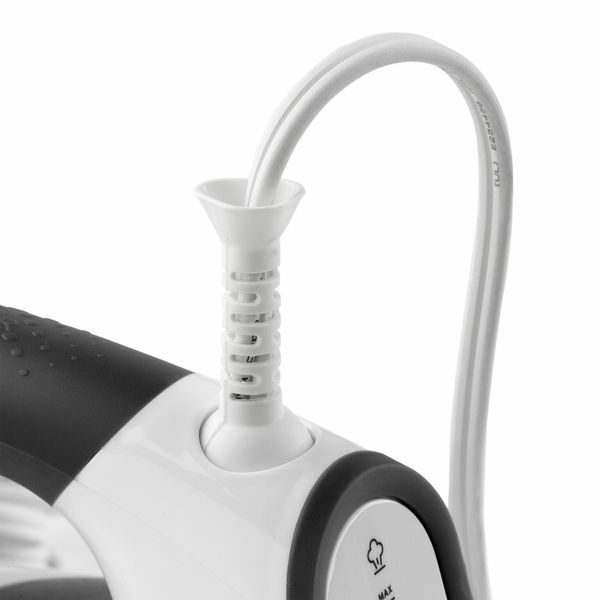 The Reliable Velocity holds a gallon of water ( well it seems like it!)! I found that when I filled the reservoir to full capacity the iron was unwieldy and too heavy. I fixed that by putting less water in! 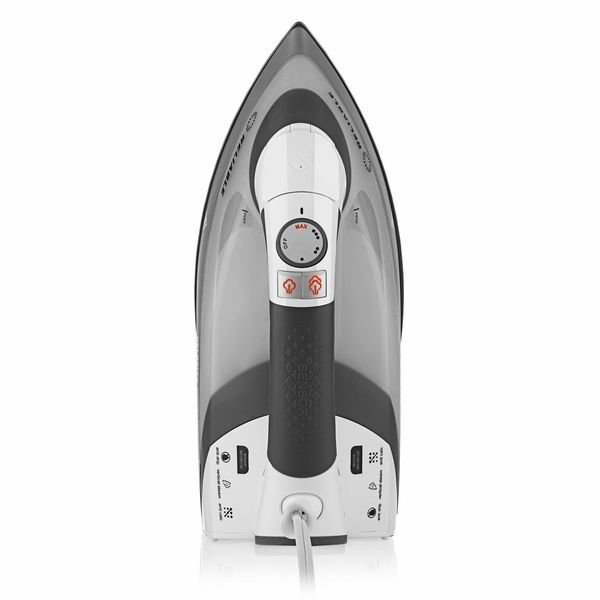 This iron is so efficient that it doesn't release steam unless you have your hand on the handle where the sensors are. I purchased the silicone irest and can leave the iron flat on the sole plate and no leaks and no steam loss! 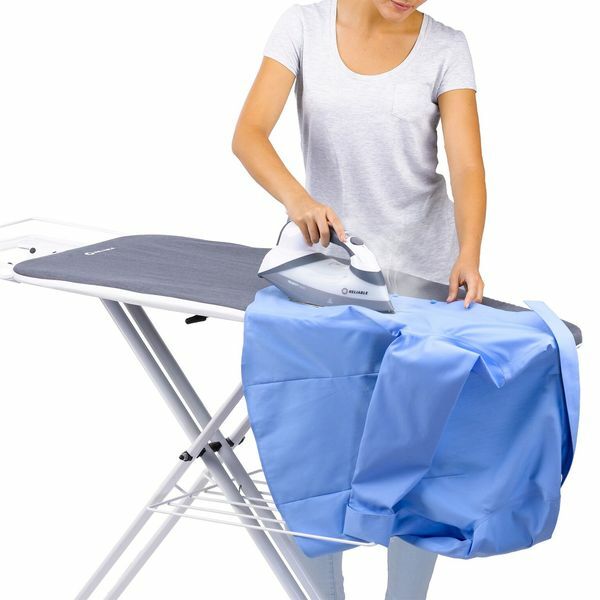 Plus it's way more convenient when ironing clothing. It's super well made, and has the ability to disable the auto off which is really great...just don't forget and walk away and leave it on! Took a while to receive as it is a drop ship item, but AllBrands had a great coupon for $20 off so a little extra wait was fine! 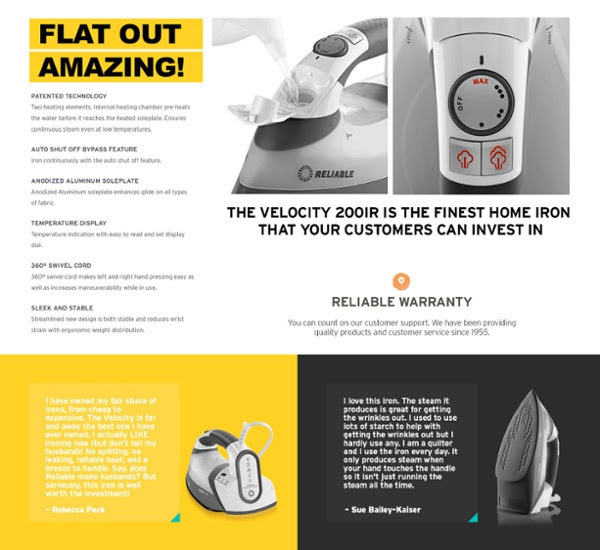 Excellent service, Reliable Velocity is an excellent product, I am happy with this product. I am a member of a sewing group and I will be recommending your products at a future meeting. Thank You again!! Ruth M.